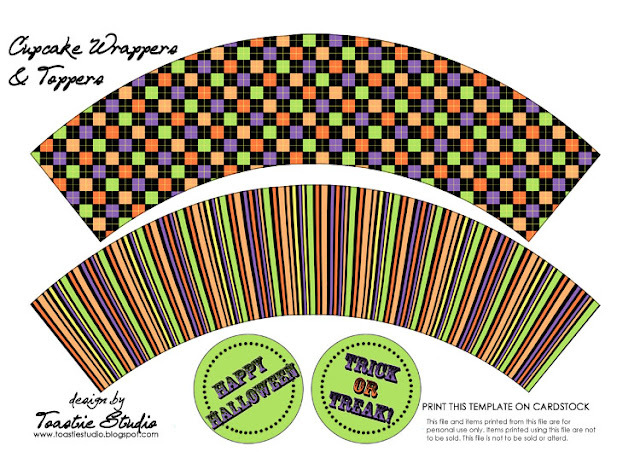 Following on from Yesterdays post of a Halloween treat box, here is a set of matching cupcake wrappers and toppers! Download the pdf file here, and print on cardstock with no scaling (100%). This entry was posted in Halloween, Printables on October 18, 2011 by Handmade Cuddles.